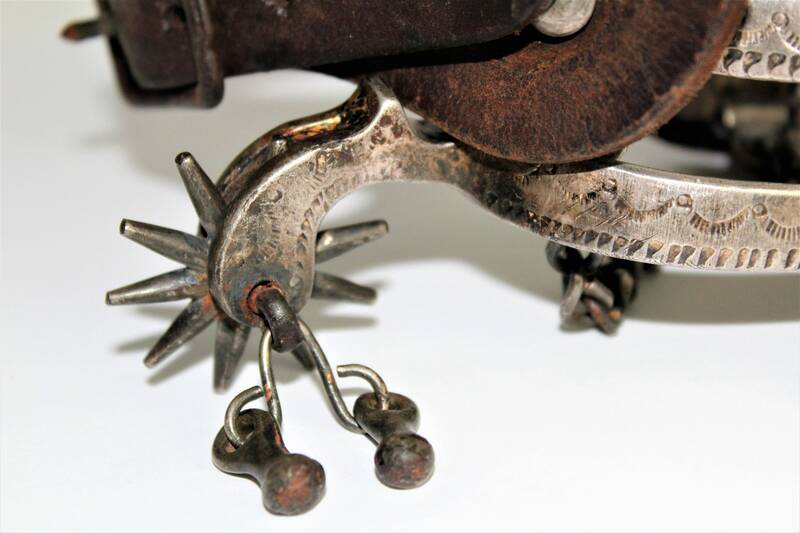 Wonderful set of western spurs with ten-point rowel and jingle bobs. 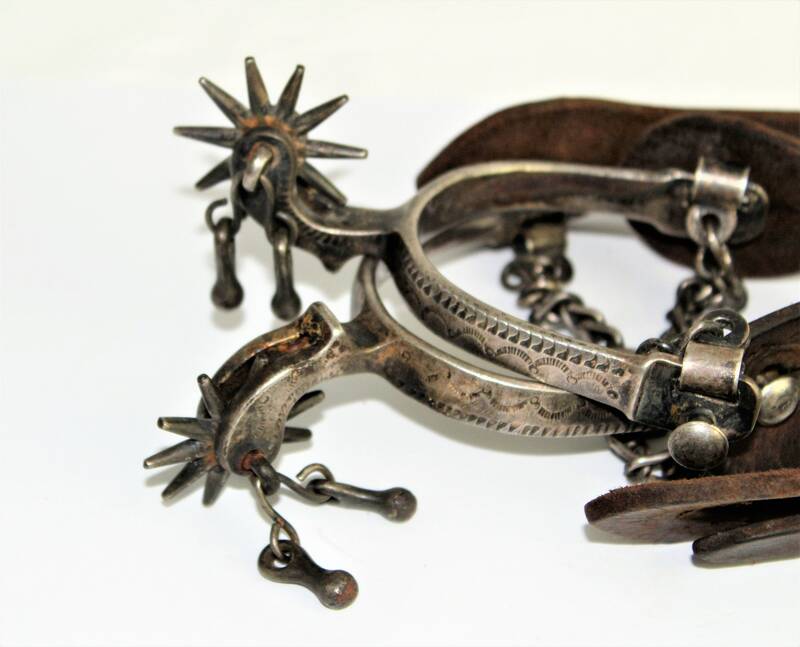 The spurs have very nice stamped pattern across the outside, the shank is designed with chap guards they also have heel chains. 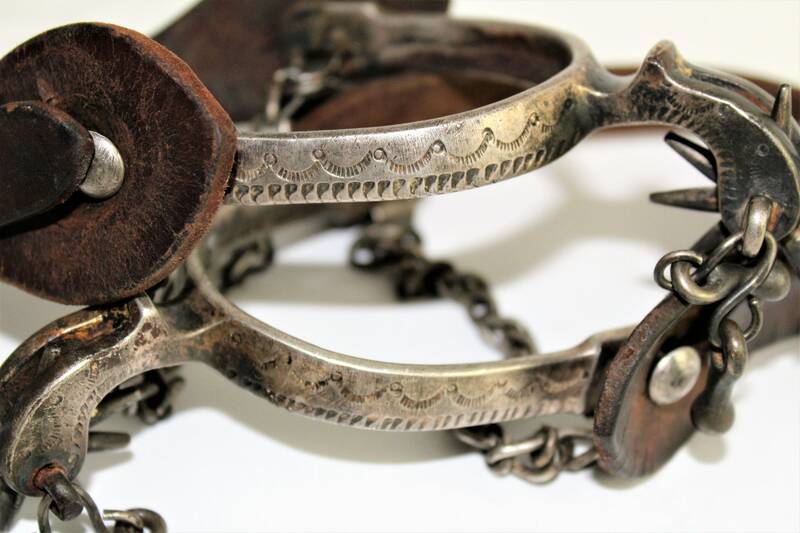 The old leather straps are very worn but still complete. These are unmarked. 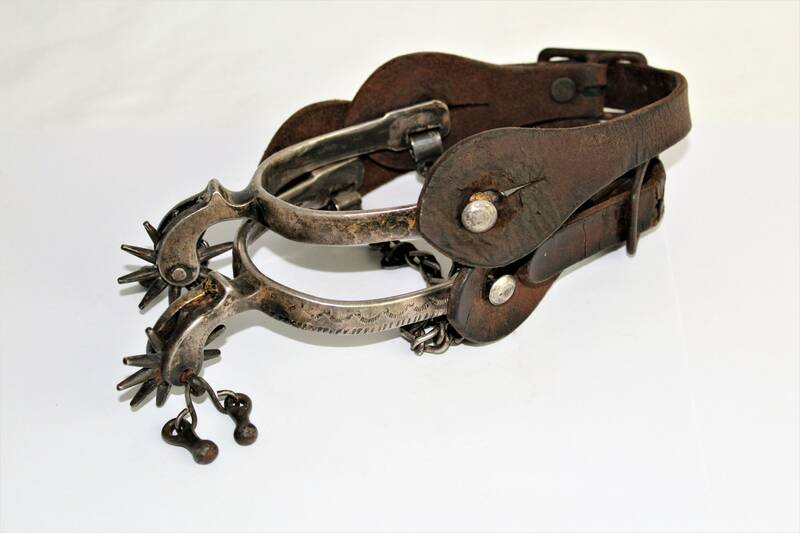 Condition, Spurs are in wonderful condition for age with light corrosion on inside from boot wear. 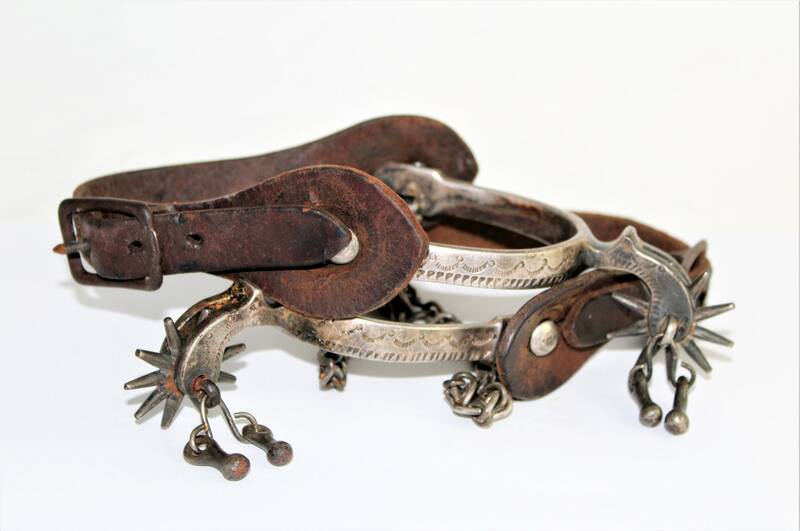 Straps are worn.